Researchers in Southampton and Malaysia are set to launch a pioneering study that could lead to the development of a vaccine to prevent head and neck cancer. Teams based at the NIHR CRUK Southampton Experimental Cancer Medicine Centre (ECMC) and Cancer Research Malaysia, aim to study precancerous lesions in the mouth which, if left untreated, can progress into head and neck cancer. The £600,000 award, led by the Medical Research Council (MRC) and funded from the Research Councils UK £1.5 billion Global Challenges Research Fund (GCRF) allocation, will focus on testing the lesions for markers which can then be targeted by vaccination. While head and neck cancer is the eighth most common cancer in the UK and accounts for 3% of all new cases, it is the third most common among the Malaysian population. Following identification of the target molecules, experts at the ECMC – a partnership between the University of Southampton and University Hospital Southampton NHS Foundation Trust – and Cancer Research Malaysia will then work with biopharmaceutical company Icon Genetics, which uses green plants as production hosts for vaccines. The collaboration will build on a grant awarded by the MRC and Academy of Sciences Malaysia to the same group earlier this summer to support the work between researchers in the UK and Malaysia. While the team in Southampton are working on a number of novel immunotherapy vaccines to treat various types of cancers, this will be the first study aimed at creating a vaccine to prevent a form of cancer developing. 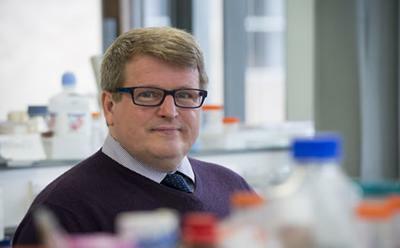 “This study grant will help us to identify targets in premalignant disease that might – if untreated - turn into head and neck cancer,” explained Professor Christian Ottensmeier, a consultant medical oncologist and professor of experimental cancer medicine in Southampton. Professor Gareth Thomas, professor of experimental pathology and a consultant in histopathology in Southampton, said: “Although this is a much bigger problem in Southeast Asia than in the UK, it is still a significant and growing problem here – so steps to tackle its incidence will have an important global impact. Dr Natalia Savelyeva, a lecturer in cancer immunology in Southampton, added: “Our aim is to build on the work already undertaken by our colleagues Professor Sok Ching Cheong and Dr Kue Peng Lim in Malaysia, who have identified target molecules that are important for head and neck cancer. Together we will study the shared properties between precancerous and cancerous cells. The funding announcement is the first phase of the £1.5 billion GCRF, with £20m being allocated to 41 short-term projects across 39 UK research organisations working in partnership with different countries around the world. Declan Mulkeen, chief of Strategy at the MRC, part of Research Councils UK, said: "The five research councils involved in the awards have been working collectively to provide new and broader approaches to meet global research challenges.